I live in an old house, I’m not sure of the exact year it was built, but early 1900’s is as close as I can ascertain. I’ve always loved older houses like this, in all their charm and wonderful woodwork. It’s just not something you see anymore in newer built homes, as it’s cost prohibited. Because of all this wonderful old wood, and the years it has been serving this house in practicality and beauty, it has its ways of telling me, it’s there. It creaks. Especially the stairs. It creaks loud. My Dad called it my built in security system. Not even the cat, when he was alive, could go up the stairs without sounding the alarm of his presence. 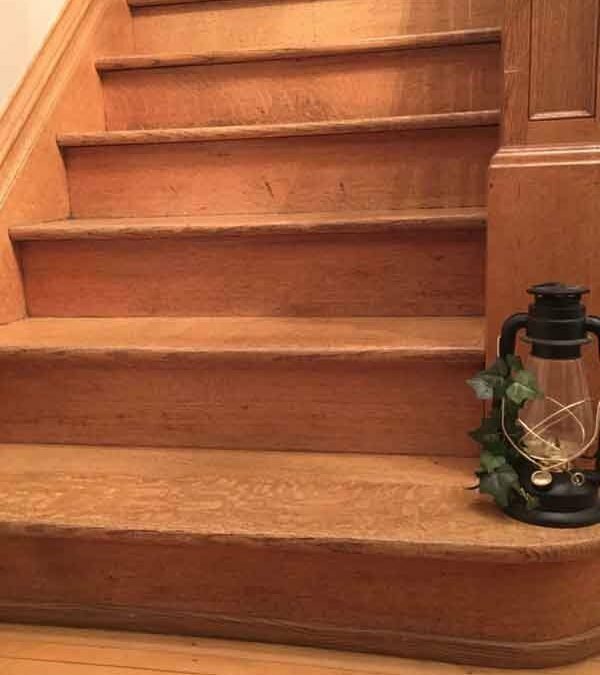 On a day to day basis I hardly notice it anymore, I’ve become so accustom to each creak and groan of the stairs, it just kind of sings to me as I go up and down the stairs. But then, company comes! I feel conscious of every creak, especially early in the morning when I wake up early, and want to go downstairs before my company is awake, to spend some time with my Lord in prayer and devotion, and sometime at my keyboard, writing my heart onto a page. Age, it changes us. We’re still useful, we have lots of experience, we’ve had lots of use, but we’re still functioning, though we sound a little more creaky. Each step we take creaks of our existence. Others want to hush us, or trade us off for some newer version, but we know we still hold the beauty we had when we were young and less creaky. Ever since I moved into my house, I’ve said we have a lot in common. We’re both pretty old, and we need a little work, but we have lots of character and charm, and now I think I’ll add, we both creak. We might wake up you, when you want to be sleeping. We might say it’s time to be up and about, and being productive for the day. We both sound creaky, but if you really listen closely, we’re really just singing our song. It’s a song of age worn strength, to hold up under all kinds of pressure and weight of those that walked upon us. It’s a song of gratitude that we’re still here, and useful for the master of the house. Quit hearing the creaks, and begin hearing the song. The song is one of comfort and strength. The song is consistent and strong. The only difference between the creaks and the song, is in the ear of the listener. Which are you hearing?